The World Health Organization (WHO) on Monday announced that the first vaccine against malaria, Mosquirix, was developed by GlaxoSmithKline and that pilot tests on children will take place in three African countries: Kenya, Ghana and Malawi. The Mosquirix vaccine (also called RTS, S) was created especially for infants aged 5 to 17-month olds, the WHO said. An estimated 360,000 children are expected to be given the vaccine during the pilot phase (2018 – 2020). 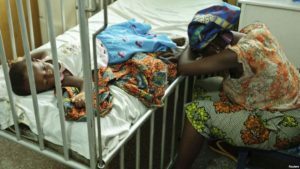 Malaria has killed 429,000 people worldwide in 2015, with 92 percent of victims in Africa and two-thirds of them children under five. The vaccine should be used alongside other preventative measures such as bed nets, insecticides, repellents, and anti-malarial drugs, the WHO said. “Combined with existing malaria interventions, such a vaccine would have the potential to save tens of thousands of lives in Africa,” Moeti said. “This vaccine is a weapon amongst others, it is one of the tools at our disposal,” she added. Symptoms of malaria include fever, muscle pain and headache as well as vomiting and diarrhoea. Posted by Geraldine Boechat on April 25, 2017. Filed under Lifestyle. You can follow any responses to this entry through the RSS 2.0. You can skip to the end and leave a response. Pinging is currently not allowed.